Launched within a climate of significant public sector reform the Young Review explored how the disparity in outcomes experienced by young black and Muslim men in the criminal justice system might be addressed. The final report highlighted the need for a collaborative approach to ensure that the needs of service users from this target group are met. 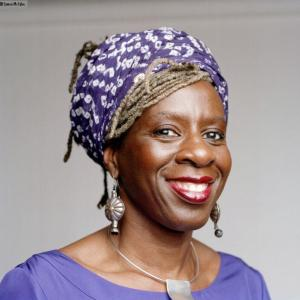 Chaired by Baroness Young of Hornsey, with the support of the Black Training and Enterprise Group (BTEG) and Clinks, the Young Review final report was launched in 2014. POPS hosted the Anderson Lectures in 2015, inviting Baroness Young as our keynote speaker to share the findings and recommendations arising form the review. POPS’ CEO, Diane Curry OBE is currently a member of the Independent Advisory Group to the Ministry of Justice and National Offender Management Service, established following publication of the Young Review, having served on the Task Group in the initial stages of the review. The Task Group was made up of representatives from the public, private and voluntary sectors. Going forward the Independent Advisory Group will support the government to tackle the disproportionate over-representation of young black and/or Muslim men in the justice system and to embed the recommendations from the final report over a three year period.